Here are a few tips to help you put your car together after you've customized it. For best results use a heavy paper - the thicker the better. This makes it easier to fold and will keep its shape better. If you have only thin paper you can glue the printed car onto another piece of paper before you start to cut it. Sprayed on glue or a glue stick works best for this option. Cut around the outside of the car, leaving the flaps and bottom squares. Some cars may have a dashed line inside of the body, cut along this line and remove any excess paper if needed. To make curved edges, for fenders and the like, curl the paper around a pencil or pen and rub it a few times. Fold the flaps using a straight edge *, like a ruler or table edge, and secure them behind the next body part (hood, bumpers, etc.). * Some flaps may be on a curved part of the body. To get a crisp edge use pocket change (penny, quarter, pence, etc.) or a CD disc to give you the rounded corner. Tape will work fine, but this may leave odd gaps. 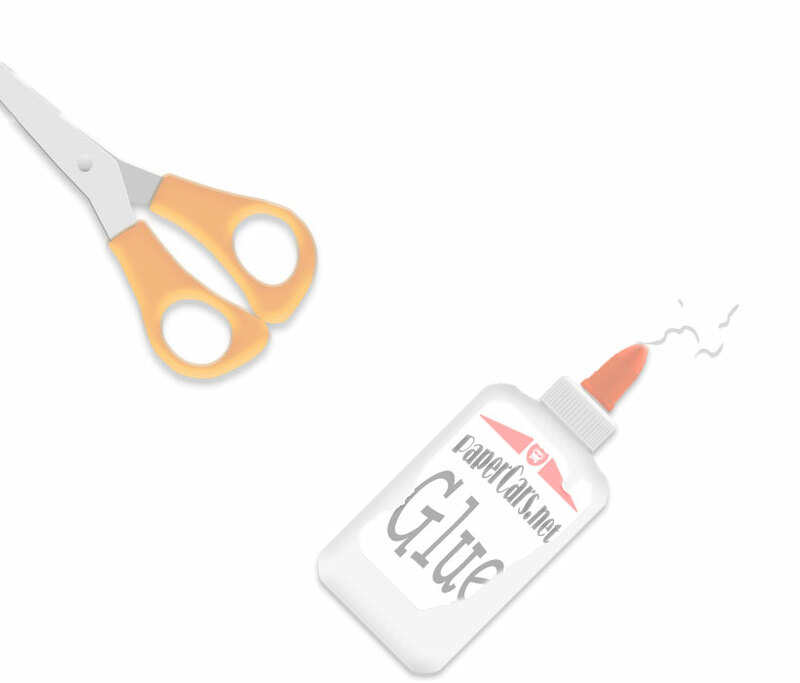 Glue works the best, and you can use a paper clip to hold the paper together as the glue is drying. Reproduction and/or Distribution prohibited without a License agreement.